Edith Rodríguez was born and raised in Santiago, Dominican Republic. In 2013, Ms. Rodríguez came to the United States with her parents following “the American Dream,” settling in Miami, Florida. After a semester studying English as a second language in Boston, Massachusetts, Ms. Rodríguez returned to Florida to support her family financially. In 2017, Ms. Rodríguez’s father and uncle relocated to Salisbury, Maryland for work opportunities, and Ms. Rodríguez followed with her mother a year later. 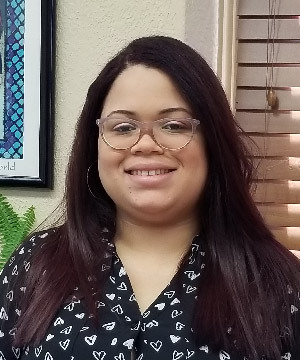 At her job as Administrative Assistant in the Salisbury office, Ms. Rodríguez can utilize her interest in the immigration experience and fluency in Spanish. In her free time, she enjoys spending time with family and traveling.